You can change the permissions for your users, either by assigning the default permissions or by using custom roles you can create. 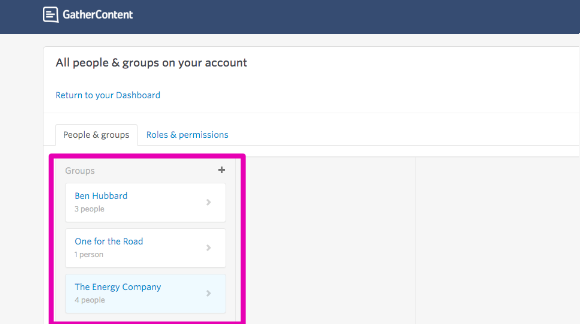 You can change the permissions you've granted your users after you've invited them, either by assigning the default permissions setup in your account or by using custom roles you can create. 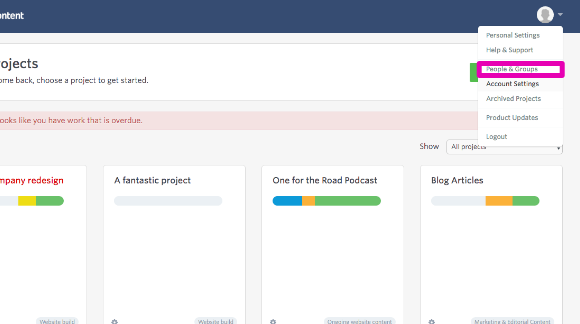 User in GatherContent are organised in groups. Select the group in which you'd like to update the user permissions. You can choose a role from the dropdown list. The list will contain all the roles you have available in your account. Changing their role will immediately change their permissions. Based on the role you've selected you may need to choose the projects you would like to grant access to. Find out more about managing access to projects. 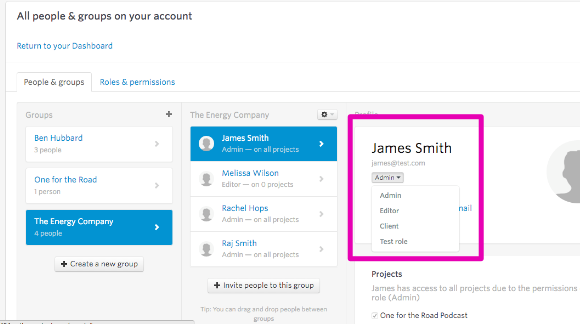 Tip: Some of the permissions (such as Admin) can give users access to all projects, billing and grant them the ability to change other users permissions. Please ensure you're familiar with the roles before updating a user's permissions. You can learn more about roles and permissions here, and find examples of commonly asked about permission sets you can use.